Though Hunt: Showdown is still in Steam Early Access for PC and has plenty of issues to iron out, Crytek is still adding plenty of new content and updates. At the PC Gaming Show 2018, the latest update was revealed in a new trailer. It contains a new monster called The Water Devil who fights with tentacles and can be quite the disgusting beast. Check it out below at your own discretion. Among the new weapons are the vintage crossbow, throwing knives (which can be used in one match only but retrieved after throwing), the hand crossbow (more of a pistol and good for up close shooting) and sticky bombs. All of these weapons should mix up the hunts even further but be careful to not draw too much attention to yourself, lest you become the hunted. 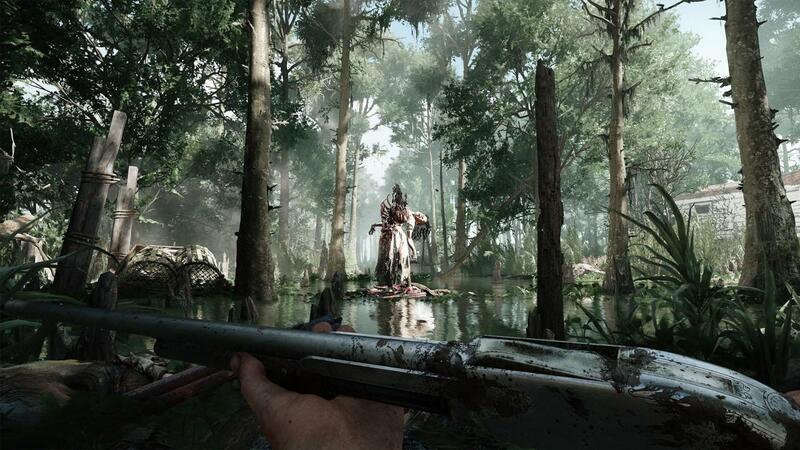 The latest update for Hunt: Showdown will be out later this Summer. Check out the game on Steam Early Access right now.